A major victory in CALM’s efforts to increase true access to the care of licensed midwifery for Medi-Cal eligible families was just achieved. 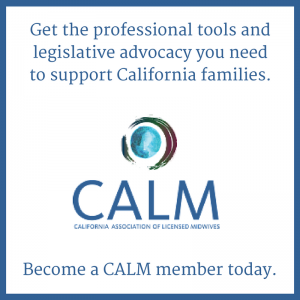 CALM’s previous advocacy work had established the legal right for midwives to serve as Medi-Cal providers. Thanks to our ongoing efforts, the agency that administers the Medi-Cal program has agreed with us that each Managed Care Plan (MCP) that participates in Medi-Cal must include adequate access to licensed midwives, nurse midwives, and freestanding birth centers in each network it manages. Once issued, this guidance will require each MCP have an adequate number of all three provider categories. This is a critical step in ensuring that licensed midwives can be reimbursed by all Medi-Cal plans. As you know, CALM advocacy in 2013 removed a major barrier to Medi-Cal reimbursement by ending the requirement for physician supervision. However, many practical hurdles to caring for Medi-Cal recipients still existed. The agency that oversees Medi-Cal (the California Department of Health Care Services, or DHCS) needed to put basic systems in place, like clarifying the appropriate enrollment forms for midwives, getting its computers to distinguish between LMs and CNMs, and authorizing billing codes (itself a 24-month advocacy process involving multiple agencies and many, many hours of CALM engagement with each agency). Still missing was DHCS direction to the various managed care plans (which provide Medi-Cal services to the majority of California recipients) on how and when to provide access to and reimbursement for licensed midwives. California’s health care reimbursement system is complex and fraught with challenges for “new” providers. CALM brought together a team of volunteer midwives, supported by CALM’s leadership and legal counsel, who were willing to act as “crash test midwives” by attempting to enroll and seek reimbursement for clients in a variety of settings around the state. With a few exceptions, these efforts were initially unsuccessful. However, each case taught CALM’s advocacy team more about what larger policy changes were needed to make reimbursement a reality. (Our midwifery community owes a huge thank you to the midwives who have met every two weeks for over a year to share their challenges and especially the families willing to make appeals for care.) Nearly every test case was followed up with CALM’s legal research and yet more advocacy efforts. 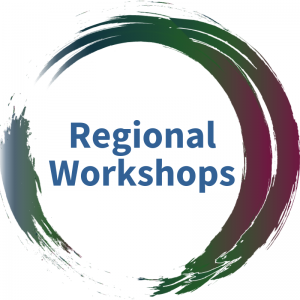 Part of the challenge facing our “crash test midwives” is that each area of the state offers one or more different managed care plans (MCPs), most of which did not provide a way for licensed midwives to become network providers or allow for out-of-network reimbursement. Nearly all of the MCPs have been confused about the scope of practice of a licensed midwife and, despite the federal and state rules that require access, unwilling to provide reimbursement, particularly for home birth care. Thanks to many, many hours of CALM’s advocacy with the Managed Care Division of Medi-Cal, and the many appeals that demonstrated the lack of access to licensed midwifery care in managed care networks that the law requires, the guidance for the Managed Care plans we have been requesting for more than three years will now soon be issued. This new, binding guidance (called an All Plan Letter or APL) will tell each plan that they must include licensed midwives in their provider networks. The plan cannot substitute another type of provider (like a certified nurse midwife) for the care of a licensed midwife, and it must provide home birth as an option. 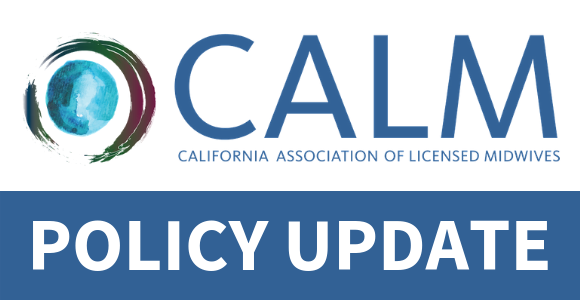 Right now, CALM is in the process of providing much needed guidance to the Managed Care Division of Medi-Cal on the exact details of the APL, with the goal of providing the most comprehensive network of licensed midwives possible. Here is the draft APL, and here are the comments we filed jointly with CNMA. Supporting comments have also been filed by California nonprofit advocacy groups, such as MCH Access, the National Health Law Project, and the Health Consumer Alliance. The joint CALM and CNMA comments urge DHCS to ensure clear direction for the plans and adequate availability of licensed midwives for each plan. We anticipate the final version of the APL will be issued within the next few months. We will keep you up-to-date on its progress and how it impacts your capacity as a licensed midwife to become an in-network provider. CALM will provide its members with a clear process and important background materials on how to complete your application once the APL has been issued. This represents a major victory for licensed midwives in access for Medi-Cal families. Like all health care providers, we will continue to interact with DHCS on a variety of matters, including presumptive eligibility and reimbursement rates. This important step forward would not be possible without the work of Susan Jenkins, JD, CALM’s legal counsel, and the midwives who were willing to engage in the exceptionally time consuming process of test cases. We are grateful for the collaboration of the Certified Nurse Midwives Association (CNMA) on the provision of comments on the draft guidance on the APL and the support of the advocacy groups. These efforts are critical to our long range goal of sustainable Medi-Cal reimbursement that will lead to increased access to the care of licensed midwives for ALL California families. This victory is the result of countless volunteer hours and test cases, many of which were never reimbursed. This victory would not be possible without the expert support of our legal counsel, who has effectively guided us through one of the most complex health systems in the world. If you haven’t yet, please join or renew your membership. Your dues are critical to our ability to continue this work. Already a member? Consider making an extra donation to help defray our costs.